After your shoot is complete, I carefully sort through and select only the absolute best images. Each photo is then individually hand edited and printed. Your photos will be displayed in individual mats for you to make your selection. It is entirely up to you what you buy, and no sales pressure. Some people spend $300, some $3000. You will only buy what you love! There is no minimum purchase. Choose from two different studio box styles for your collection. They hold up to 25 double matted prints of your most cherished portraits from your session. The Story Box is a free standing, frame style box for your mantle or bookshelf. The design allows for the top most print to be on display. Prints that are safely stored inside the box are easy to access and can be quickly changed around to keep your display fresh. The Legacy Box is a keepsake box to hold prints. 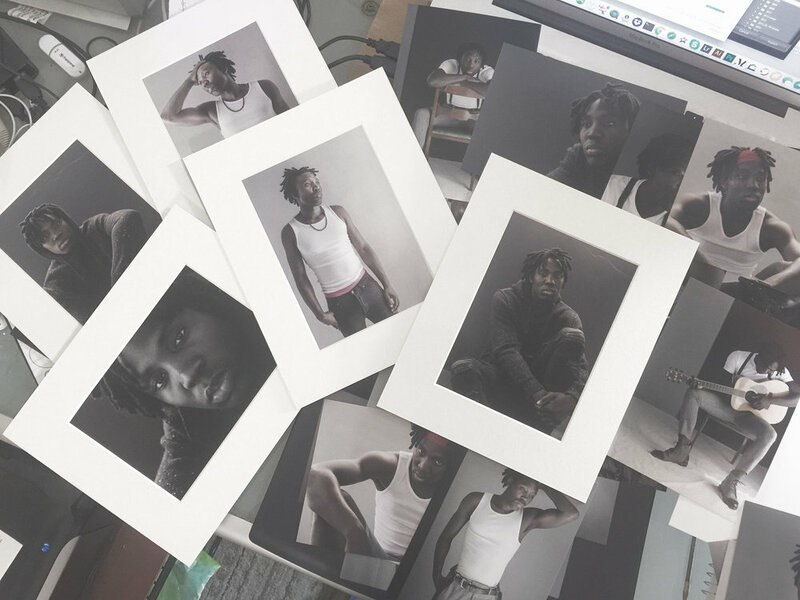 Choose a favourite image from your shoot to print on the lid. This box is also freestanding and is a beautiful display for your mantle. All products: Prints, mats & boxes are produced in Italy. Do I do payment plans? Yes! Click here for an example of a custom mobile photo gallery of a senior graduate shoot. It is viewable and sharable on mobile devices & desktop. All purchased prints include hi-res digital files. Wall portrait pricing available upon request due to the many options available. One of being pampered and laughter while creating the most beautiful portraits you have ever seen of yourself & your loved ones. And don't forget to plan a night out after! We are not responsible for the awesome time you will have while your are out looking and feeling amazing!